Image: Canberra retailer Mal Briggs’ comic book shop is blocked by tents for the entirety of the National Multicultural Festival. 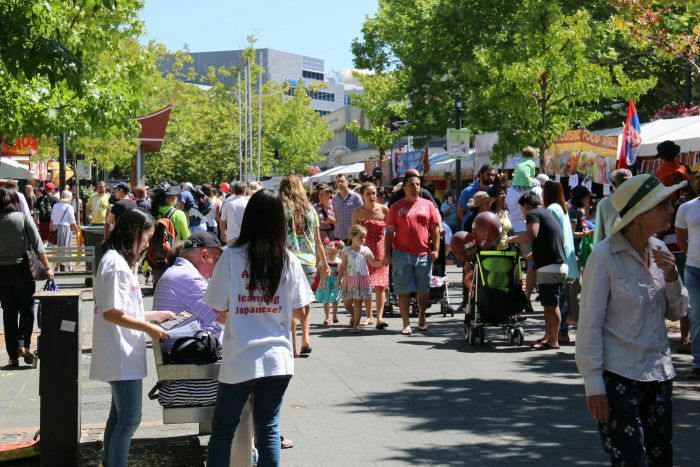 The Canberra festival lines up stall holders in front of existing shops, turning a 250,000-strong event into a loss for the usual shop-owners. Festival organisers, instead of conceding a new layout would be appropriate, says business owners need to compromise. Jane Easthope, chief executive of Canberra CBD Ltd, suggested to the ABC that the festival is not for shop-owners – which is funny because the group’s marketing company says the event is funded ‘out of a levy of property owners’. Easthope also makes the argument that shopowner’s compromise is part and parcel of city events, comparing them to Federation Square in Melbourne and Martin Place in Sydney – even though those spaces are event-specific and not retail precincts. 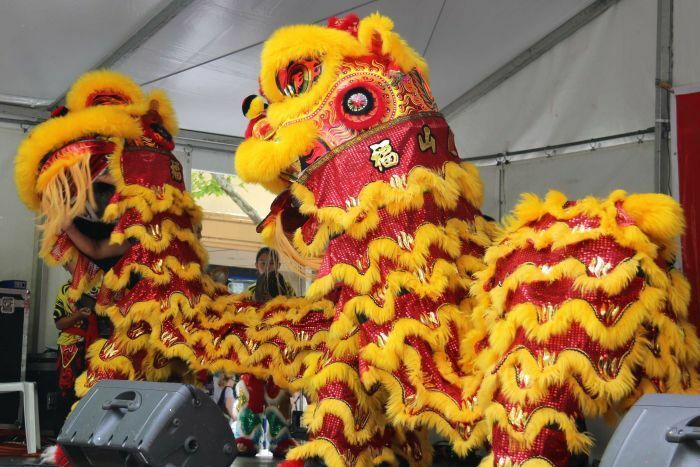 Each February more than a quarter of a million people flock to Canberra’s city centre to revel in the colours, costumes, music, dance and food of the National Multicultural Festival. However, not everyone is excited to see the event come to town. For the city’s local business owners the festival cuts both ways, it can be one of the best or one of the worst weekends of the year. One shop that has had a historically rough time with the festival is Impact Comics in Garema Place. “Unfortunately the multicultural festival, for us, tends to turn the front of our shop into an access laneway,” manager Mal Briggs explained. “Rather than being a premium shopfront we become a dumping ground for waste and an access lane for cars. Mr Briggs’ main issue is the layout of the festival, which sees dozens of inward-facing tents line City Walk and Garema Place. He said it created a facade that obstructed potential customers’ views of the regular shops. “The majority of extra foot traffic that we see in the shop is actually children from the families running the stalls, we effectively become a crèche for the day,” he laughed. Other shops are frustrated by the lack of accessibility that they and their customers have as the festival is moved in and out over a period of two weeks. Andre Barilaro, owner of Garema Place restaurant Spudbar, said the festival ought to be planned with shop owners in mind. 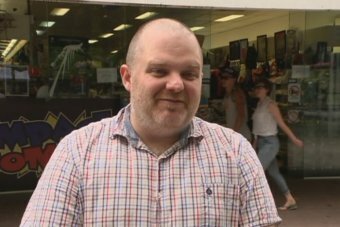 “It’s great that it comes here to Canberra … I just feel that there should be a little bit more work with the businesses that are here,” he said. “Instead of having an event that just happens to be in the city, bring the businesses in and have it be a part of the Canberra experience. Jane Easthope, chief executive of Canberra CBD Limited, said compromise was all part of owning a business in the city. “The festival footprint is in the CBD. These, really if you look at it, are venues for events,” she said. 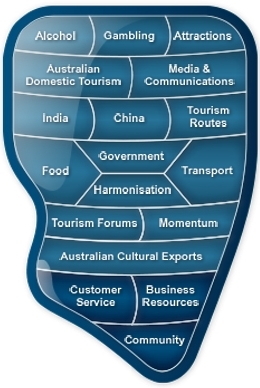 “We need to understand that it’s like Sydney or Melbourne; Federation Square, Martin Place. There’s always going to be events on there and so there should be. Ms Easthope said the festival was something all Canberrans should be proud of. “It sends out some really strong messages about who authentic Canberrans are, and about what we value,” she said. Festival goers flood local bars and pubs in the city centre after the stallholders’ liquor licences expire at 10:00pm. For King O’Malley’s Irish pub the festival is a huge boost for business. “It’s a fantastic weekend for us … it’s one of our busiest couple of nights of the year next to New Year’s Eve,” manager Oliver Waldren said. While there was a mixed response from businesses in the heart of the city, businesses operating in the air-conditioned comfort of the Canberra Centre generally welcomed the festival. SupaNews manager Scott Stephens said it was one of the busiest weekends of the year for the shop. With communication between traders and festival organisers lacking, the spit between businesses that profit or lose out may grow as the festival continues to attract larger crowds.